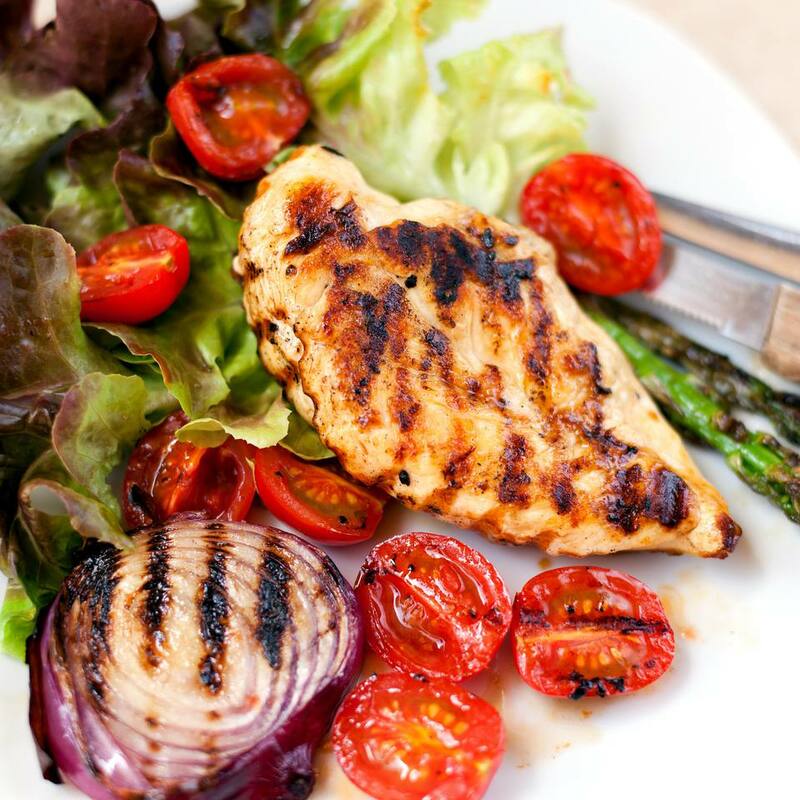 These citrus and yogurt marinated chicken breasts provide a subtle and delicately delicious addition to salads, sandwiches, and soups. Serve them up as the main attraction with a side of grilled vegetables for a light meal, or simply cut into cubes and serve as an appetizer along with your favorite dipping sauce. Combine all ingredients in a medium mixing bowl. If you choose to flatten the chicken breasts, place on a large sheet of plastic wrap and cover with another. Take a kitchen mallet and pound the chicken to about half the original thickness. Remove from plastic wrap and place into resealable plastic bag. Add marinade and be sure to coat well. Seal bag(s) and place in refrigerator for 1 to 2 hours. Remove chicken from bag and discard marinade. Place chicken on the grill and cook for 6 to 8 minutes per side. Once internal temperature at the thickest part of the breast reaches 165 F, remove from heat. Let meat rest for 3 to 5 minutes before serving.